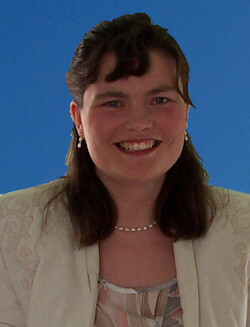 Rachel qualified as a Chartered Accountant in 1998. Having worked in several practices she decided to set up her own practice using the knowledge and experience gained to help and advise her own clients. Her expertise is in tax planning and specialist advice for small to medium businesses. She has extensive experience acting for a diverse range of commercial organisations with companies whose activities range from a European Export Transport Company to an International Software provider. In January 2009 she qualified as a Chartered Tax Adviser. Rachel ensures full compliance with the rapidly changing regulatory and reporting environment that we face in accountancy and taxation. Legally, anyone can call themselves an ‘accountant’ without the necessary training and experience. Before becoming a ‘chartered accountant’ and using the designatory letters ACA or FCA, our members must undertake a period of at least three years training with an organisation that is authorised by the Institute, and pass tough examinations embracing financial management, auditing, business strategy, taxation and IT. This training and experience also ensures that chartered accountants develop communication skills, business awareness and professional judgement. Institute members are expected to maintain high standards of ethical and professional conduct. Our scheme of Practice Assurance provides members in practice with a framework of quality assurance principles to help them assess and develop their own practices. It demonstrates their commitment to upholding and developing professional standards. All members must comply with the Institute’s scheme of Continuing Professsional Development, thus ensuring that their knowledge and skills are kept up to date. Advice from a chartered accountant can be invaluable. 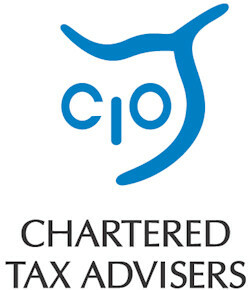 The Chartered Institute of Taxation is the leading professional body for taxation in the UK. Taxation is an increasingly complex profession and requires a great deal of expertise to advise on competently. • Any negligent act, error or omission. • Implied Statutory Terms (e.g. Sale of Goods Act 1979, Sale of Goods and Services Act 1982 and other similar legislation as well as Common Law). • Unintentional Infringement of Intellectual Property Rights. • Loss of Documents/Data entrusted to the insured. • Unintentional libel, slander, defamation. • Unintentional breach of confidence, confidential duty or misuse of information. Larsen & Co's professional indemnity insurer is HCC International Insurance Company PLC.